What an amazing weekend! I went to my first Anime Nebraskon and had such a wonderful time. I will write more about this con later this week, until then, production update time! Apologies for the delay on this weeks update, I admittedly was pretty eager to watch the Walking Dead on Monday after recovering Sunday night from the con. There is a lot of updates and I just needed a little time to get them all down. First off, I wrapped up another scene, below is a screenshot. 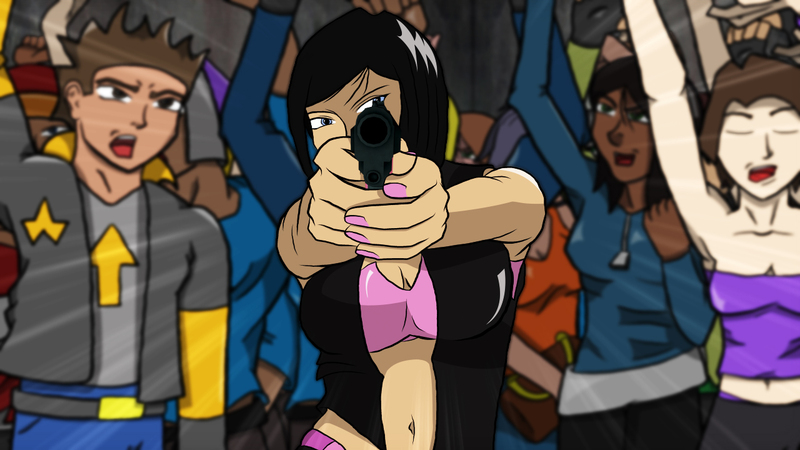 With this scene completed, I now have 3 scenes left until the e-book animated scenes are all wrapped up. I also sent this scene off for audio work, which is why the production update wasn’t up earlier today. With only a few scenes left for the e-book, I bet you are wondering how much animating I have been doing. Well, when I was preparing the latest scene for audio, I put all of the existing scenes together to see how long Cosmic Rage is so far. As of today, it is just under 10 minutes! Remember, that is just animated content for the e-book. 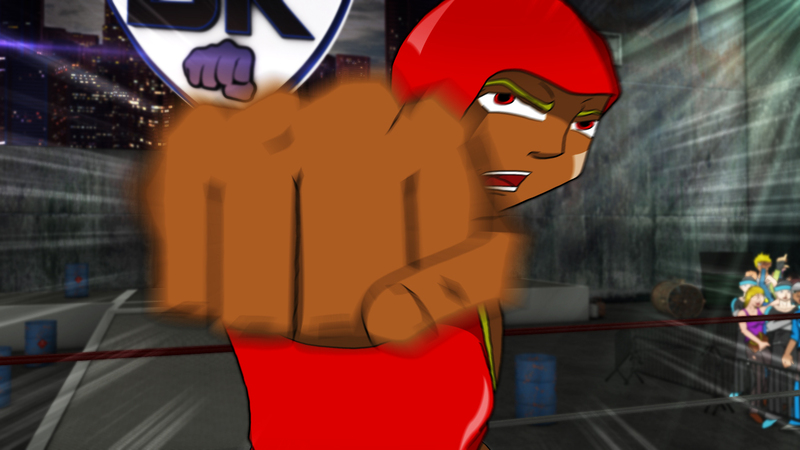 The final animated version will have new shots for the voice over and may approach the length of an actual TV episode. It wasn’t a mark I was aiming for, I want to make Cosmic Rage tell a story in the time it needs, not just hitting a number to make it long. I will be starting a new scene tomorrow, this one consists of 6 shots. My goal is to get this scene wrapped up over the weekend. With the holidays approaching at the end of the month, the push is to get a scene done every weekend since I will be traveling for the holiday. Also, the voice over audition period is closing at the end of the week! I have received some awesome auditions, so if you have been waiting to get yours in, I suggest sending them over asap! I will be going through them over the weekend and making decisions on who will voice what character. Hopefully cast announcements will come soon afterwards. I also have another announcement waiting in the wing. I can probably share it next week since it isn’t set in stone yet. The announcements and news will be coming more and more over the next couple months as the final push starts. The week started off a little dicey. I had homework to finish up and some revisions to freelance work to get done. I was really concerned that I wasn’t going to get to log as many hours on Cosmic Rage as I would have liked. However, as the weekend approached, I was able to get almost a full day in over the weekend. I had some shots to finish tweaking and then I was moving on to compositing all of the shots in the new scene I was working on. Overall I was able to get 12 shots done and completed the scene that I was aiming to get done. Here is a frame from the current scene. This week I need to go through a scene for audio revisions and also send this scene off for audio. I am also taking a mini vacation and going to a concert to see a J-Rock band called One OK Rock that is touring in the US since they signed a US record deal. You can check out one of their music videos below. I will also be at Anime Nebraskon this weekend to present a panel and check out the con! I am very excited to hit up the con and meet all kinds of new people. For Cosmic Rage, I am starting to work on a new scene that is composed of 7 shots. MY goal is to get it done or very close to done by next weeks production update. I am starting a new project for school this week but feel like I can use Monday and Tuesday to get a strong start on this next scene. Have a fantastic week everyone!